The Treasury of David is the most exhaustive commentary on the book of Psalms available, written by C. H. Spurgeon and commonly regarded as his magnum opus. Bible commentary on every verse in every chapter of Psalms. Spurgeon's expository comments help the reader in his understanding of Scripture. Frequent "Explanatory notes and quaint sayings" offer helpful insights from many different Bible teachers throughout history on each Psalm. "Hints to the village preacher" aid in preparing Bible studies and sermons. 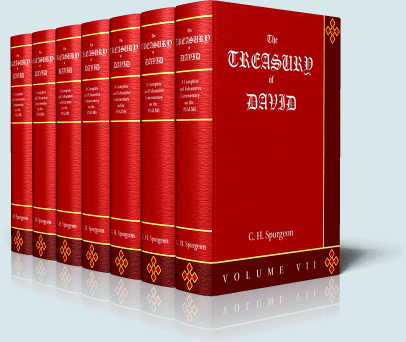 The Treasury of David took Spurgeon 15 years to complete. It was originally published in installments, until finally made available in a seven volume set. 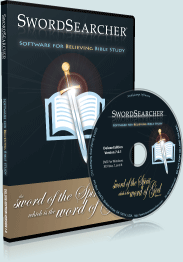 The complete unabridged work is part of the SwordSearcher Deluxe Bible Study Library, with commentary on any verse of the Psalms just a click away. As with any library resource in SwordSearcher, the entire text can be searched instantaneously for any word or phrase. "The delightful study of the Psalms has yielded me boundless profit and ever-growing pleasure; common gratitude constrains me to communicate to others a portion of the benefit, with the prayer that it may induce them to search further for themselves." -C. H. Spurgeon, from the Preface.